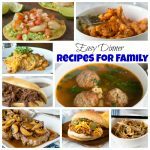 Easy Dinner Recipes – dinner doesn’t have to be complicated. 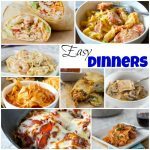 You can get dinner on the table in just minutes with all of these easy dinner recipes! Getting dinner on the table can be hard. Having to cook each night, feed your family, and try to make everyone happy can be exhausting! But it really doesn’t have to be. As long as you have a plan you can get through the week. 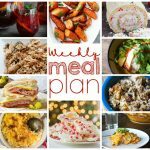 Quick and easy dinners ideas are what you need to get through the week. 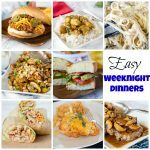 Here we have a bunch of easy dinner recipes that get dinner on the table every night, and not take hours in the kitchen. 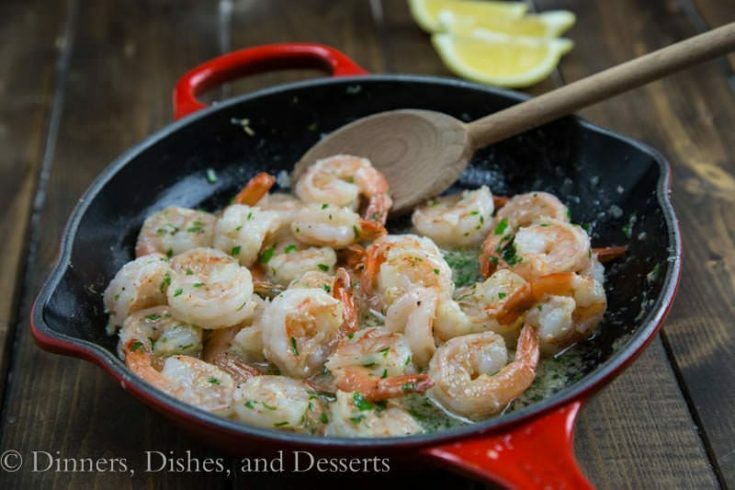 Not only is it quick to cook, but clean up is pretty easy too. I try to make sure there isn’t a ton of prep involved either. 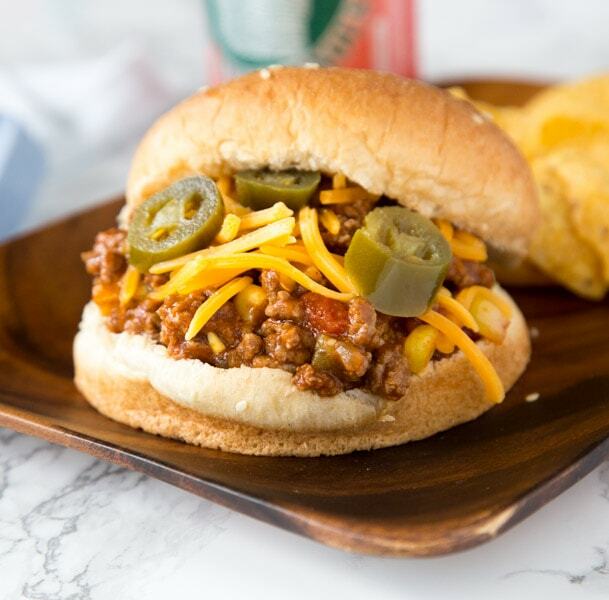 Because no one has time to do a million dishes after dinner is done. 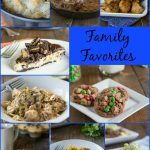 Time to stop stressing over dinner, these easy dinner recipes will give you the head start you need to make weeknights easy. 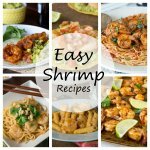 Easy Dinner Recipes - dinner doesn't have to be complicated. 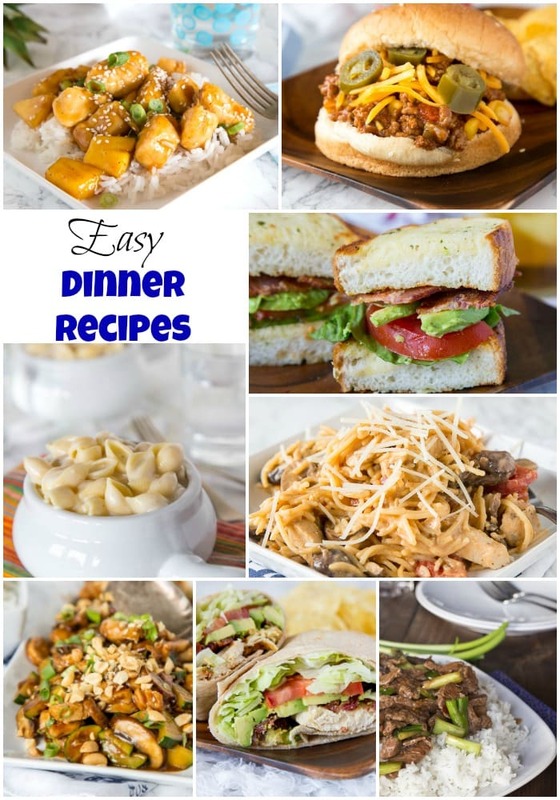 You can get dinner on the table in just minutes with all of these easy dinner recipes! 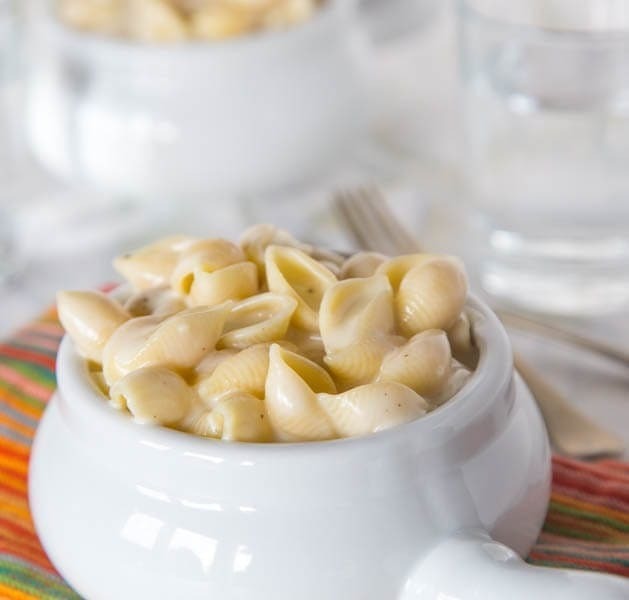 Copycat Panera Mac and Cheese - homemade macaroni and cheese that tastes just like what you can buy at Panera. 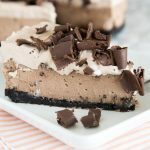 Made on the stove top in just minutes! 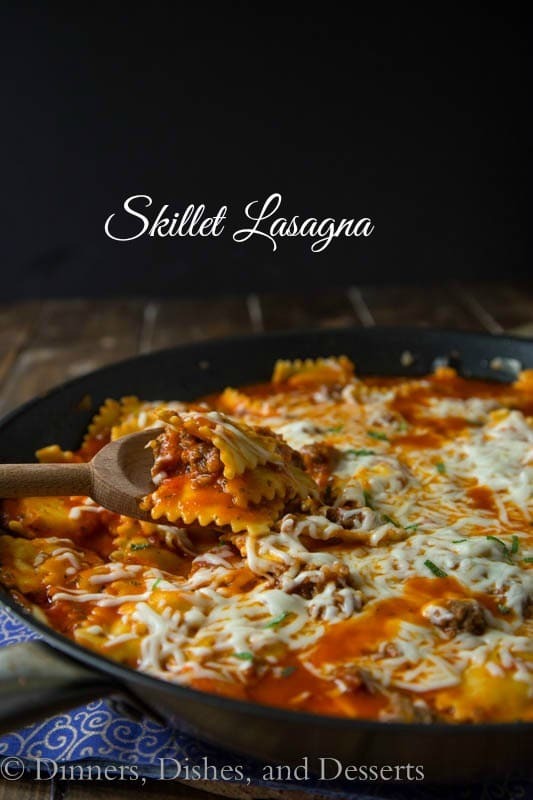 Quick and Easy Skillet Lasagna - Make lasagna perfect for a weeknight meal. 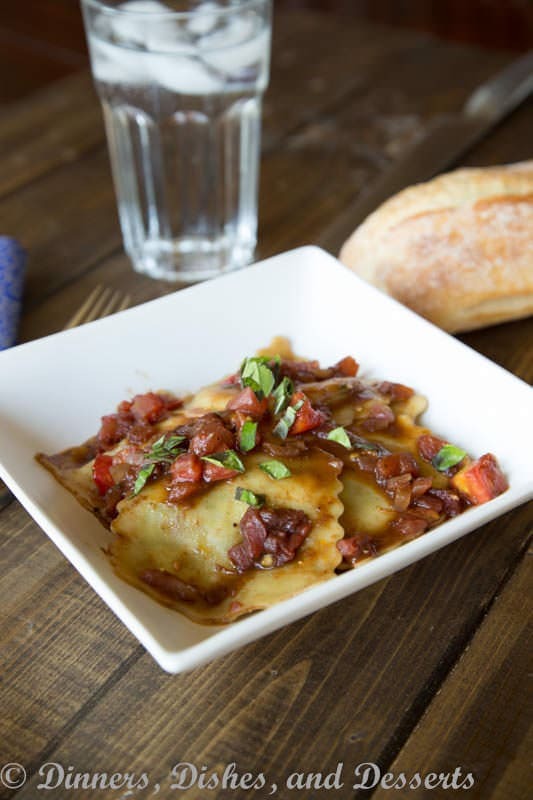 Ravioli makes this ready in less than 30 minutes, and pure comfort food everyone will love. 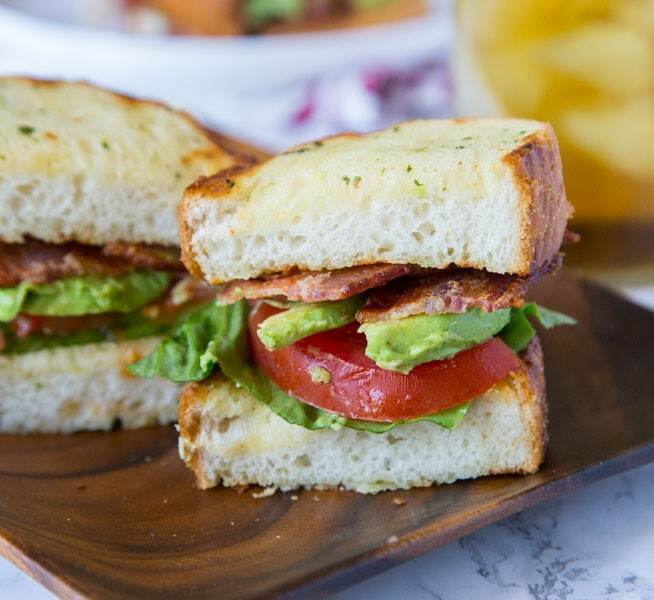 Use garlic bread to make your BLT over the top! 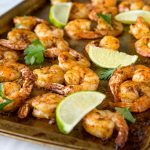 Buttery, crispy, and extra delicious! 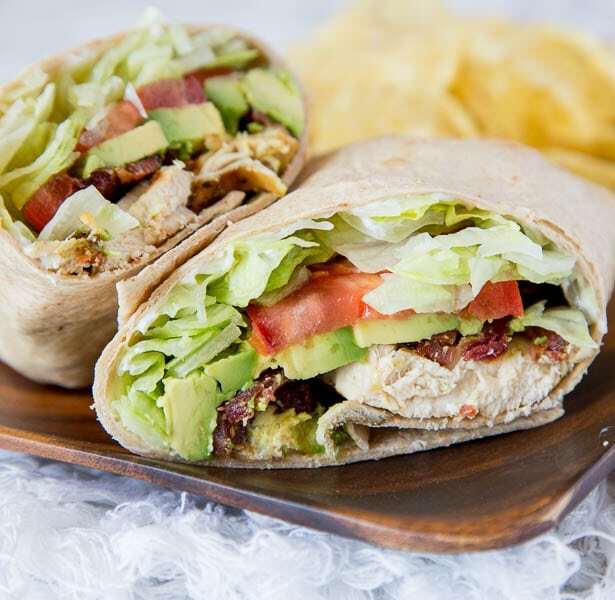 Turn a classic chicken club sandwich into an easy chicken wrap for any day of the week. 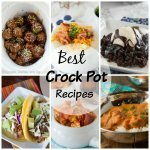 Great to take to work, make for dinner, picnics, or just about anything. 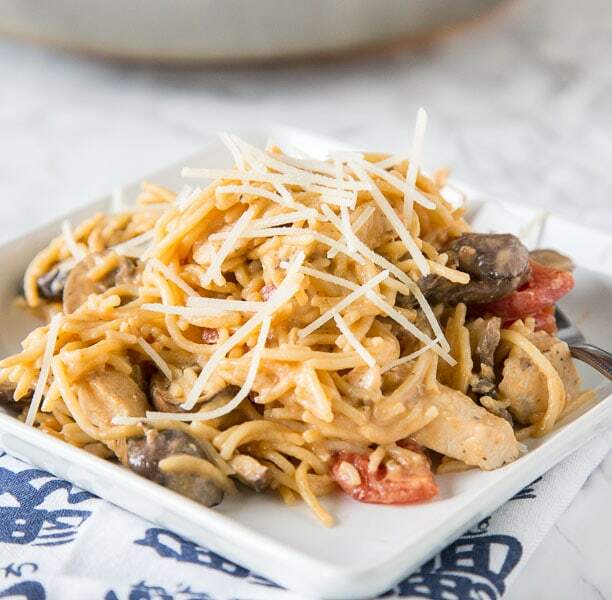 Creamy Tuscan Chicken Pasta - a super easy chicken pasta recipe that you can make any night of the week. 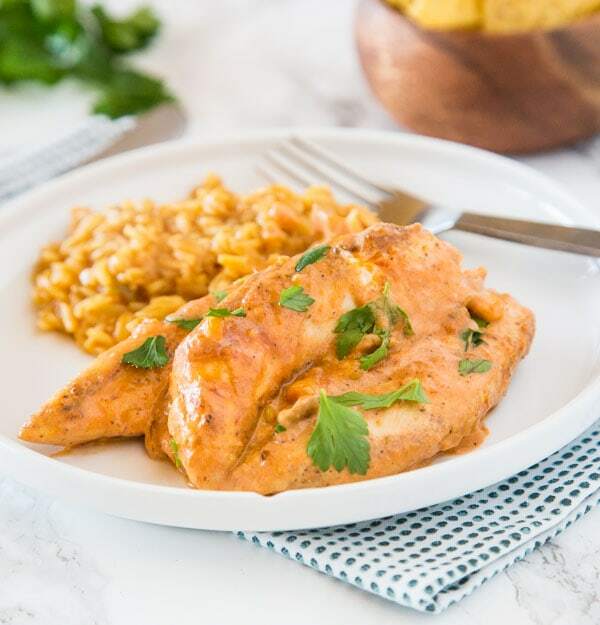 Simple ingredients, just a few minutes, and dinner is done. 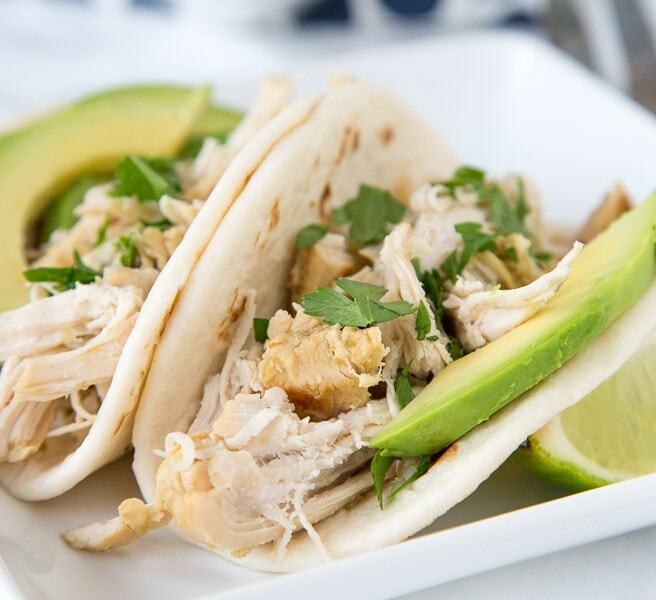 Chicken Tostadas - A quick and easy Mexican dinner! 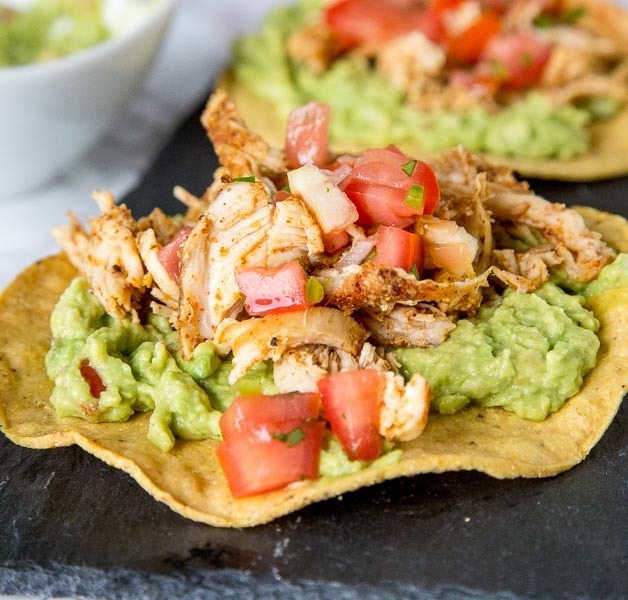 A crispy corn tortilla piled high with guacamole, chicken and salsa. 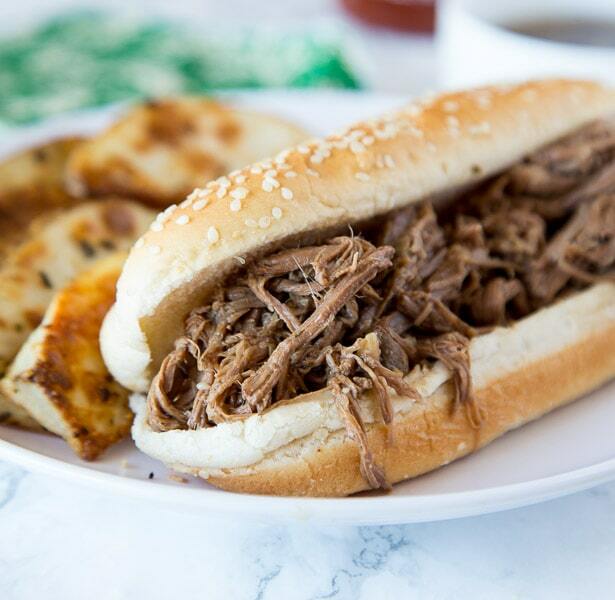 Take a shortcut from the store and this can be ready in no time! 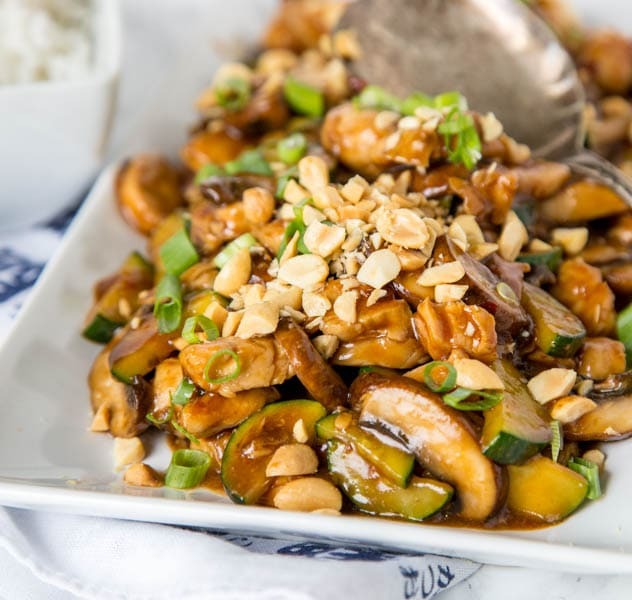 Kung Pao Chicken - quick and easy chicken stir fry packed with veggies and a little kick. 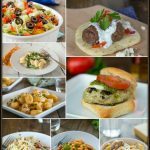 Add whatever veggies you want and have dinner ready in minutes! 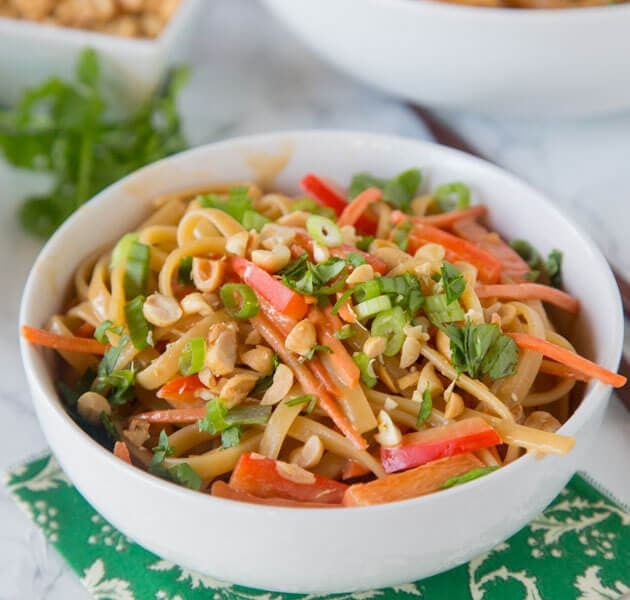 Thai Peanut Noodles - Super easy Asian noodles mixed with a creamy peanut butter sauce with bell peppers and carrots. 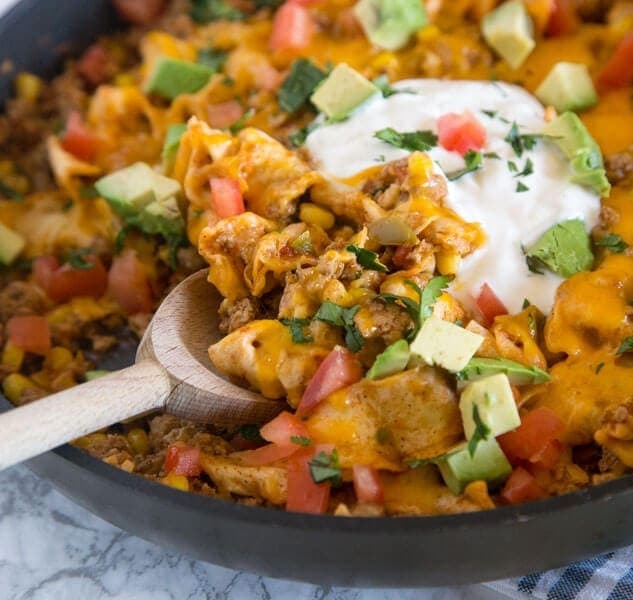 Mix up taco night with an easy one pan meal! 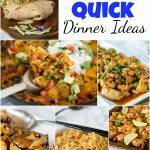 All the flavors of a burrito in this fun dinner! 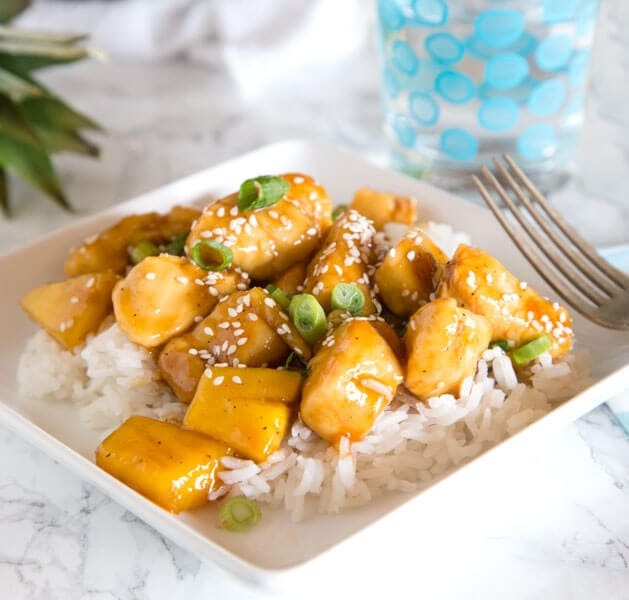 Sweet and tangy homemade teriyaki sauce with tender chicken and pineapple. 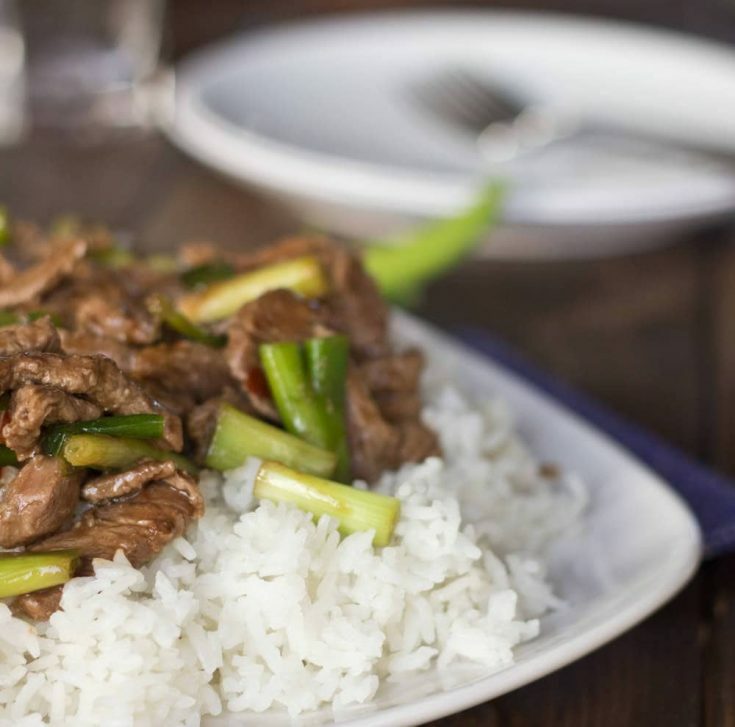 Serve over rice for a quick and easy dinner. 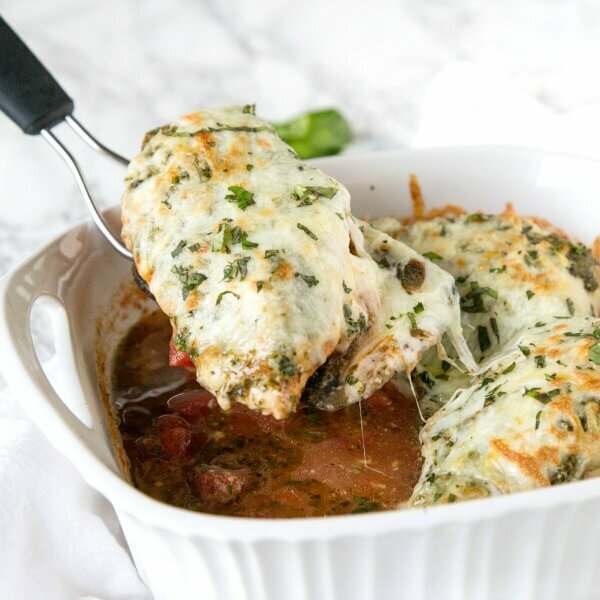 Italian Chicken Bake - just 5 simple ingredients for a delicious, cheesy, and perfect dinner dinner for any night of the week. 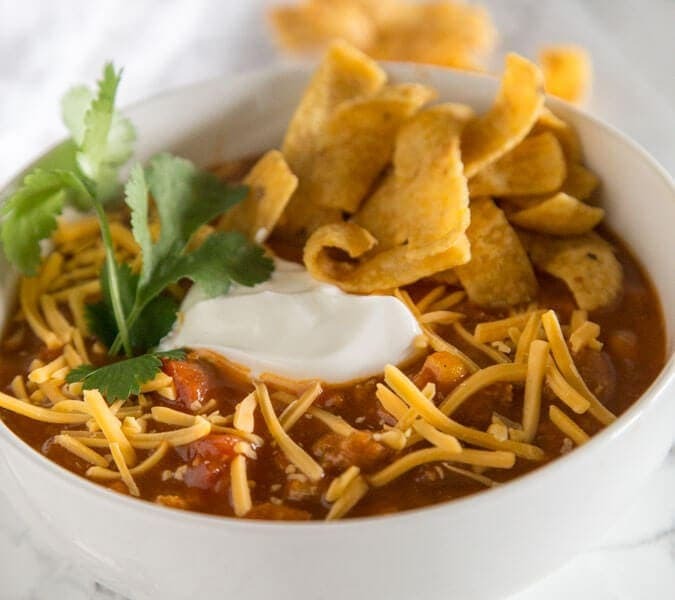 Easy Taco Soup - a hearty and comforting taco flavored soup that is ready in minutes. 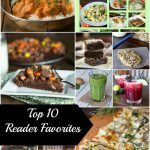 Top with your favorite toppings to make it even better! Store bought ravioli helps make this tomato and balsamic pasta come together quickly. 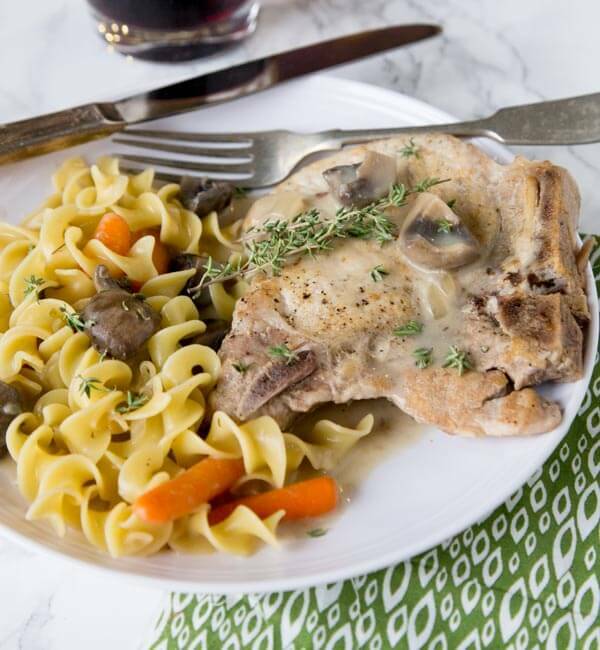 Slow Cooker Pork Chops - use bone in pork chops in the slow cooker for an easy dinner. 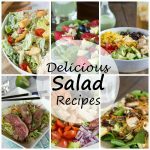 Add some veggies, and you have a complete meal waiting for you at dinner time! 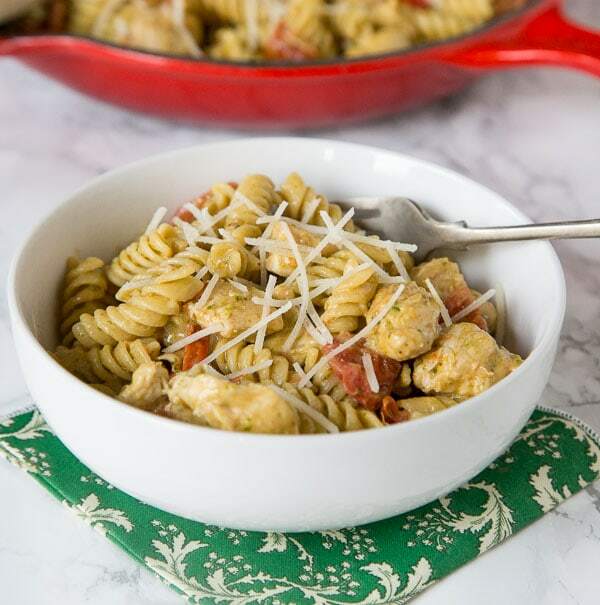 Chicken Pesto Pasta - a quick and easy creamy pasta with chicken, tomatoes, and pesto. 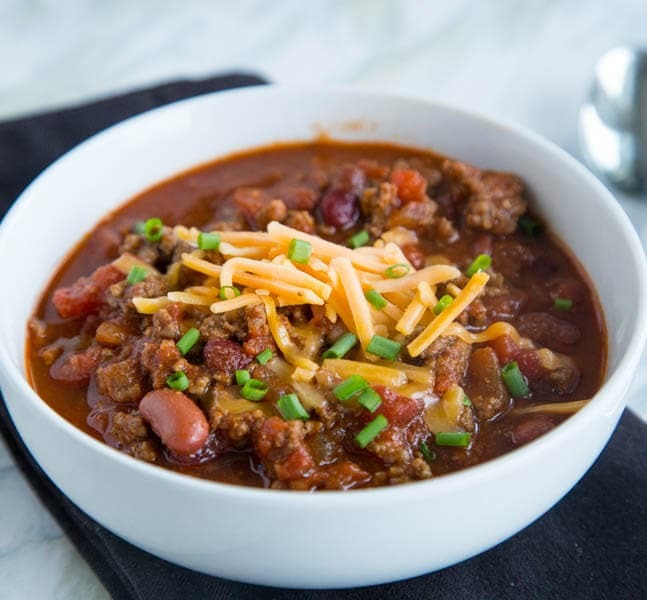 Great for busy weeknights or when you want easy comfort food. 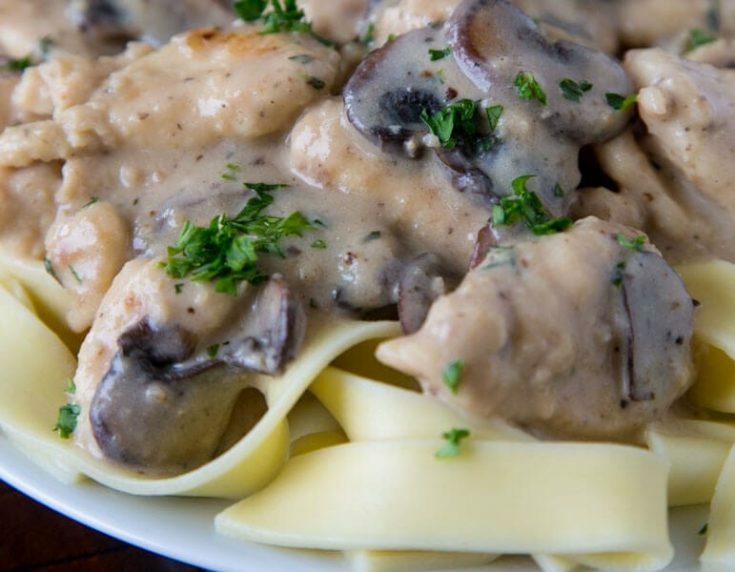 Creamy Chicken Stroganoff - tender chicken in a creamy mushroom sauce over egg noodles. 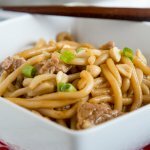 Mix up the protein from classic beef stroganoff recipes. Amazed completely ! 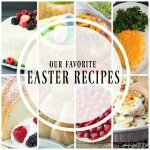 Pinned to make ! Thank you so much !